Follow Amo the everyday, normal guy through three best-selling ebooks of blood, guts and unbelievable twists, as he fights 7 billion of the undead, alone. Over 100 5-star Amazon reviews across the series. 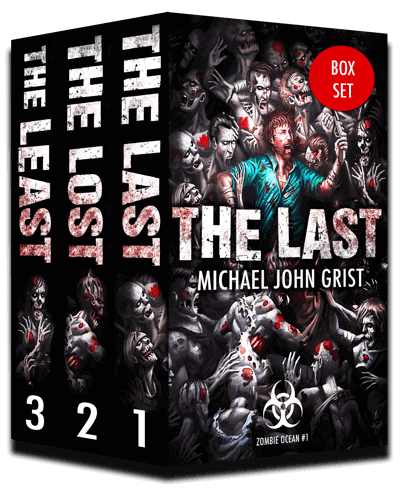 Over 1000 pages (250,000 words) of post-apocalyptic survival action. A whopping 33% off the regular price – for a strictly limited period.